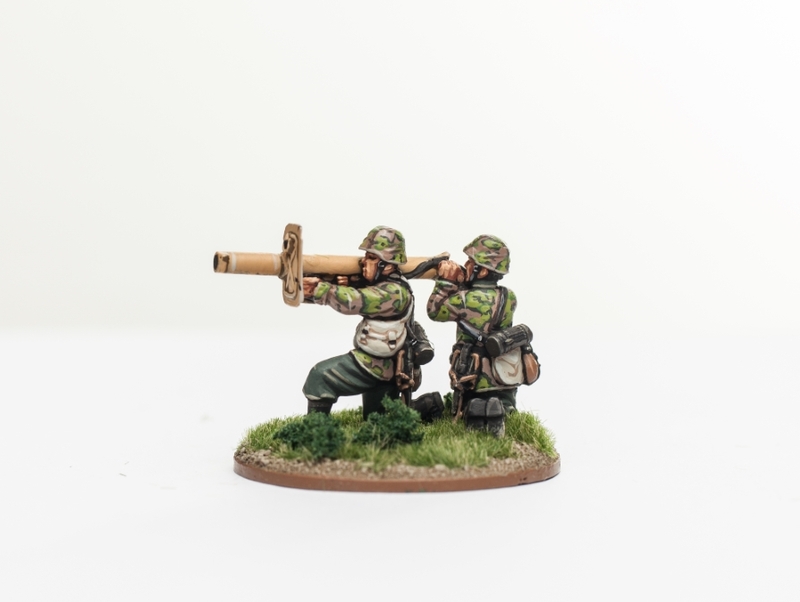 Inspired by captured U.S. bazookas, German engineers developed the Raketenpanzerbüchse 54, commonly called the Panzerschreck or “tank scare”. Introduced in 1944, the weapon was effective against Sherman tanks or Soviet T-34. 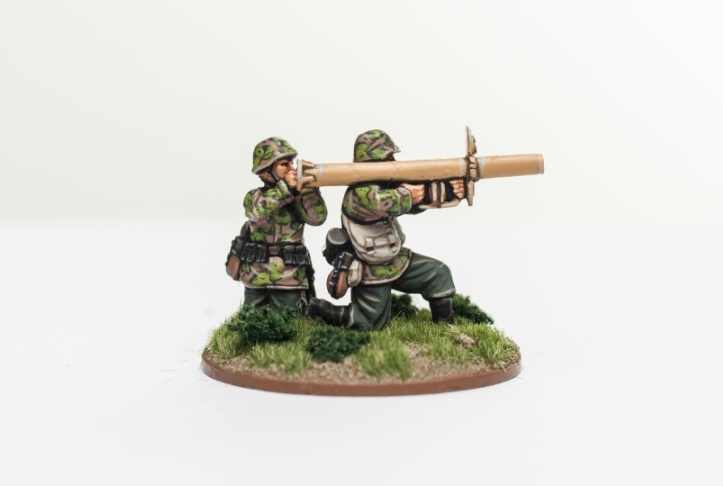 With better penetration than the bazooka, the Panzerschreck not only kept armour at bay, but also helped to breach walls or destroy cover. The squad consists of the weapon’s operator and his assistant/loader. 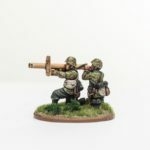 The Panzerschreck team consists of 2 highly detailed 28mm miniatures. All are made from white metal and are supplied unassembled and unpainted. Glue and paints not included.